Welcome to the Figs 4 Fun Forum. I hope that you will enjoy and profit from this forum. I hope that it will earn the right to be your fig forum of choice and that you will participate by posting your experiences and pictures, so that the forum members and the general public will have greater success with and enjoyment of their figs. The cost to me of the forum is not great, so there will not by any pop-ups, and annoying ads. At some time in the future, I may look for a few selected, tasteful advertisers with products that I believe are pertinent to people who grow figs, and which I can personally endorse. Serving a sharing community, not advertising is the priority at this time. 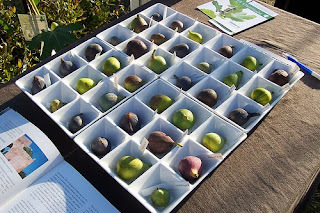 If you have relevant things to sell or trade, such as fig plants, and wish to post them here, and they are of general interest to the "fig community" that is fine. If a post is not in keeping with the interests of this forum and the fig community, it will deleted, but I really don't anticipate needing to do so. I started this forum because of the issues I and many members had with other forums(obnoxious ads, dysfunctional e-mail, etc.). That is why I want to make this a user and community friendly forum. See http://figs4fun.com/ and http://figs4fun.com/basics.html for more information. See http://figs4fun.com/Fig_links.html for hundreds of links about growing figs. Ya mas Didik memang pintar mengambil peluang berbisnis buah surga buah tin semoga koleksinya bertambah terus dan bermanfaat bagi sesama, InsyaALLAH akan kami kunjungi ke taman Tin di pacet Mas. Salam Machfud SBY.